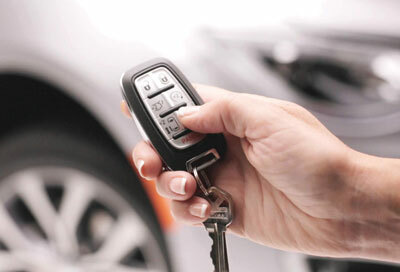 VMI prides itself in producing the easiest to use, most accessible mobility solutions in the world. 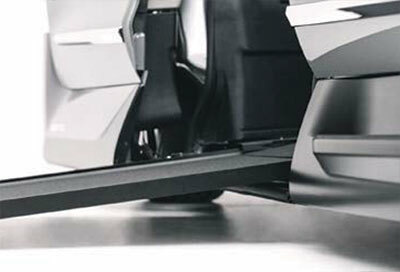 The Northstar in-floor ramp system offers an array of features that simply cannot be matched by vehicles with fold-out ramps. VMI Northstar owners get all of the benefits of an in-floor ramp without the compromise associated with rear-entry or fold-out conversions. 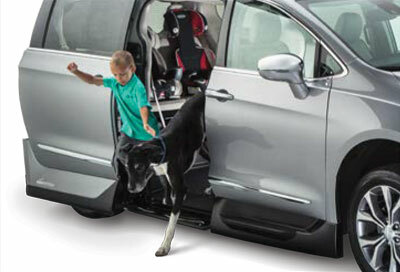 The VMI Chrysler Pacifica wheelchai van combines our unrivaled interior space, 360˚ maneuverability, interchangeable front seats, and in-floor ramp with the automotive industry’s most stylish and technologically equipped van. The Access360® VMI wheelchair van conversion provides more space for even the largest power chairs to enter the vehicle and maneuver inside, more flexibility and ease of use. Safe entry and exit without deploying the ramp for able-bodied passengers. 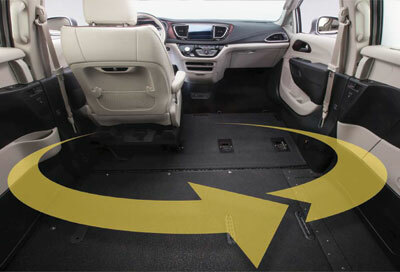 Lowers the vehicle to provide a reduced ramp angle for easy entry & exit and can deactivate for deployment onto a curb. One-touch controls make it easy to deploy or stow the fully powered Northstar ramp system using the VMI dash button, OEM remote and other interior vehicle buttons! 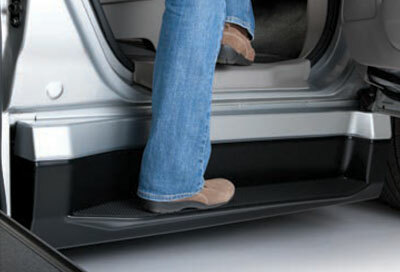 Step with microspike textured non-slip surface enables assisted access to the front seats. 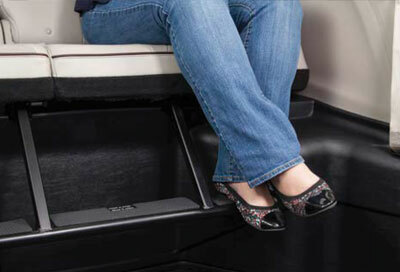 VMI’s lightweight footrest is easy to use and offers additional comfort for passengers seated on the rear bench.